Once again, for the most amazing views, join the Mt. Shasta Trail Association on a day hike to pristine Deadfall Lakes and to the top of Mt. Eddy slated for Saturday, August 4th. 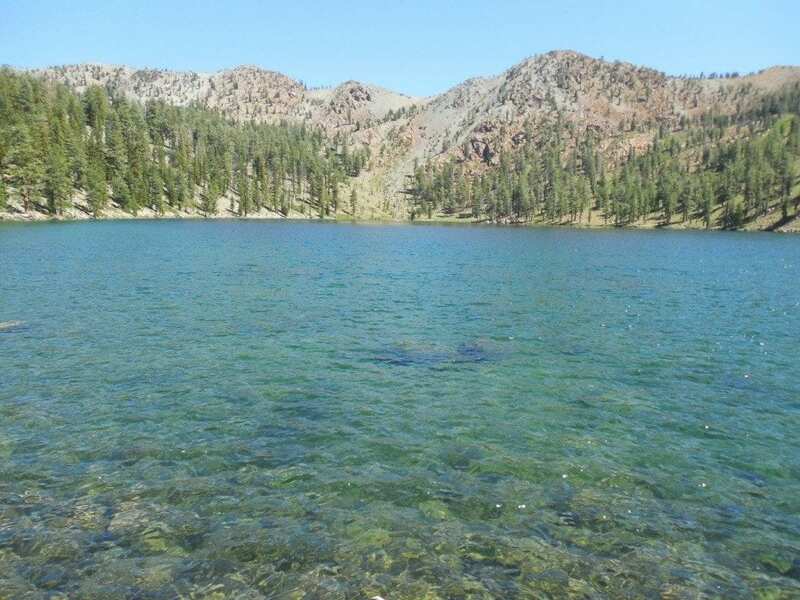 This 10-mile round-trip hike starts out gently on the Pacific Crest Trail to the multiple lakes and then becomes challenging as we gain 2,250 feet to the summit at 9,025 feet. Mt. Eddy was formed some 400 million years ago from peridotite, a volcanic form of serpentine. This type of rock, ultramafic, is high in magnesium and low in calcium, and as such the soils derived from this material constitute a harsh growing medium for most plants. Like with other serpentine areas, the result is that some plants adapt to the harsh conditions, taking advantage of the relative lack of competition, and evolve to become endemic to the site. The iron contained in the rock rusts, giving it its reddish tint. It is the highest mountain in the Eddys – a subrange of the Klamath Mountains – the highest point in Trinity County, and the highest mountain W of Interstate 5. The mountain was named after Olive Paddock Eddy, the first woman to climb Mt. Shasta. From this majestic peak hikers will be able to see Lassen Peak, Mt. Mc Loughlin, the Scott Mountains, the Eddy Range, Black Butte, Castle Crags Spire and of course Mt. Shasta towering over everything in sight. Participants will meet at 9 am at 111 Morgan Way, in front of the Best Western Tree House Motor Inn. Bring lunch plus snack and water and if interested, a bathing suit for a very refreshing swim. Hiking poles are recommended. Expect to return by 6 pm. For questions call Joan Roemer at 530-925-9644.